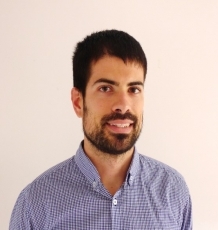 Jorge Casado obtained his PhD in Chemistry in 2015 from the University of Santiago de Compostela, for work developing analytical methods for emerging contaminants in complex environmental matrices and studying stability and degradation pathways in the environment. He then participated in cancer research, searching for biomarkers in blood through metabolomics. In 2016, Jorge joined the Greenpeace Research Laboratories at the University of Exeter as liquid chromatography-mass spectrometry (LC-MS) specialist. Since then, he has been conducting research on mixtures of pesticides, antibiotics and veterinary drugs, pharmaceuticals and personal care products and other emerging pollutants in environmental samples and foodstuffs, in support of Greenpeace office worldwide.